It would be nigh on impossible to top last week’s powerful episode of Wentworth. But this week’s episode gives it a red hot go. Fans won’t want to miss a minute of the season finale, which promises plenty in store for Bea Smith, Governor Ferguson, Frankie, Doreen, Will Jackson and Matt Fletcher. Some moments will leave you with your jaw on the floor. FremantleMedia have done a fantastic job in creatively driving us to this endgame. Season Three finished filming last week with a wrap party on Friday night. 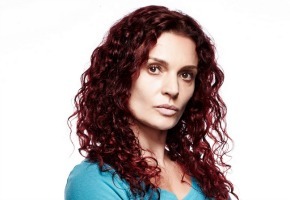 Fingers crossed Danielle Cormack’s tweets were not an indication she is moving on. I saw the tweet for this article a few days ago and avoided it (for fear of spoilers) until I had seen the episode (which I just have)… and I have to say, I expected a very long list of comments on this page. I am a big supporter of locally produced drama but also the first to admit that (so far) very little of it is very good. Wentworth is the notable exception. I would even go so far as to say it’s World Class. It is hands down one of (if not the) best produced drama Australia has ever made and if anyone hasn’t given it a go yet, just do it. Every bit of this show from the acting, to the sets, the editing, directing etc is superb. Season 1 was a masterpiece. But Season 2 made S1 look pedestrian. How the hell can S3 be any better, I do not know, but for the first time in a long time, I have faith that this writing team can do it. Pamela Rabe plays a better freak than Maggie Kirkpatrick. I never thought I’d think anyone could play her better. Looking forward to Tuesday night.